Northeast of Washington Depot is Hidden Valley, 700 acres of mixed forest and meadows crisscrossed by nearly 17 miles of trails that offer a variety of terrain for hiking. Wooded hillsides cascade into the River Valley below, creating breathtaking views from the Lookout and Pinnacle. We offer many trails designated for Hiking and Riding for adventurers of all skillsets. Looking to sit back and cast a line?  Hidden Valley Preserve offers fishing at many locations. The Lookout is a semi-circular terrace providing scenic views of the valley to the west. It was constructed as a lookout and rest spot along the carriage roads built by Adrian Van Sinderen. Overhung by trees in places, this is a great spot for a picnic. The Quartz Mine once helped support a small mining industry in the 19th Century. This surface mine was active from the 1800s until it was abandoned in 1915. The quartz, used as a filler in paint and as an abrasive, was initially transported from here to the Hudson River by wagon and, later, by train. Quartz normally forms beautiful hexagonal crystals, but the mineral developed at Hidden Valley Preserve as a massive white vein. Today, quartz is primary ingredient in manufacturing glass. The hike is a 40-minute stroll along the banks of perhaps the wildest section of the Shepaug River. The shimmering summer waters are belied by tractor-sized boulders that dot the riverbed. The final section of trail is a series of cool switchbacks carved deep into the hills, which loom above the narrow path. The crunch of quartz pebbles snapping with each step announces the approach to the mine. (1.34 miles one-way). DIRECTIONS: From the main parking area, follow the Orange Square Trail along the old railroad bed, then turn left onto the Yellow Circle Trail and continue to the quartz mine. The Thoreau Bridge, located at our Hidden Valley Preserve was designed by Gray Oranschi Architecture in New Haven and funded by The Gould Family Foundation, a grant form the State of Connecticut, and a number of individual donors. The bridge design is a product of the collaborations with wetland soil and wildlife biologists, introduces innovative and sustainable construction techniques for sensitive ecological areas. The Thoreau footbridge is a cable stayed, mass timber suspension bridge spanning 134′ across the Shepaug River. The bridge deck rises to clear the 500 year flood level and then sweeps 90 degrees as it gently ramps down to the north side of the river. Quotes from Thoreau’s seminal writings, inscribed by water jet into a bench at the cliff base and along the bridge’s steel handrails, offer moments for reflection. DIRECTIONS: Just a short walk from the main parking lot at the Hidden Valley Preserve. Please help us protect the natural beauty and integrity of the preserve by not removing or destroying plants and wildlife. Click below to see how you can best help us protect the environment. Do not remove or destroy plants and wildlife. Open sunrise to sunset, daily.  Park cars in designated areas. All motorized vehicles are prohibited beyond parking areas. No loud noise or music. Horseback riding is permitted according to posted signs. Do not harm trees by chopping, carving or driving nails. Do not litter: please carry out what you carry in. Cross-Country Skiers: Please set tracks on one side of the trail only.  Hikers, Snowshoers and dogs please respect ski tracks by keeping to the other side of the trail. Stay on the designated trail and please obey seasonal postings. Do not speed. Speed limit is 15 mph. Always yield to people on foot. No more than four riders in a group.